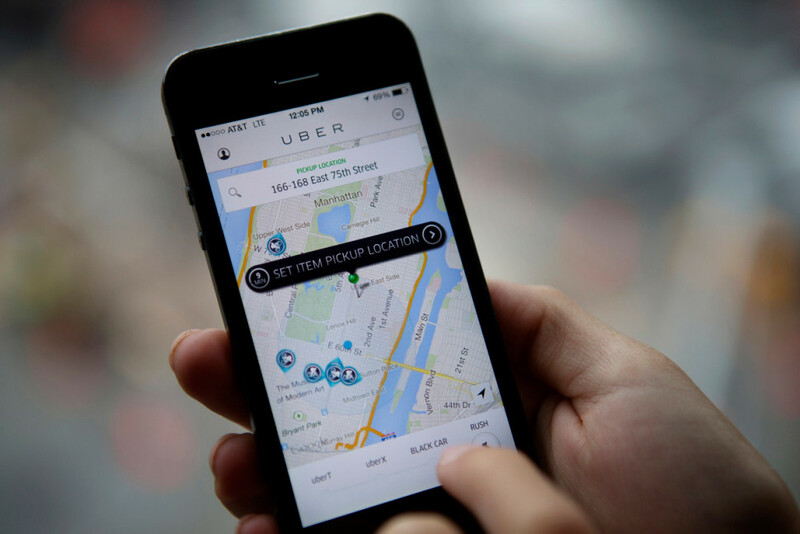 Uber was the first company to launch an app based service that connects the consumer with the service provider. The company was launched in 2009 by Travis Kalanick and Garrett Camp with its headquarters in San Francisco, California. The Uber app is available for both the Apple and Android users, the iPhone users can log in to the t.uber.com/driver-app and the Android users can log in to the Google Play Store to download either the Partner or Passenger version in their mobile phone. The driver partner can register in the app and start taking trips and they have to give twenty percent of their earnings to the transportation company as a service fee and the riders can register in the app a book their ride. The riders have to register their card details for the purpose of payment because the cash payment is not allowed according to the company policy. Texting the riders: Texting the passengers are an easy way to remind them about their ride and identify the vehicle in a busy street. The drivers can text the customers by clicking on the clipboard icon that is available at the top left corner of the screen and a contact button appearing on the screen. In general, the contact button in the smartphones shows the keypad and 2 options to message or to call. The driver can choose the message button to send a text to the riders. While some versions, only the all button is available, however the driver can still send a text to the rider by selecting the call button to copy the number to the driver’s dial screen. And from the dialer screen the driver can move the number to the message icon so that they can text the message and send it to the rider. The online ridesharing company also uses the static VOIP number for the riders, so the driver can simply text or call the static number and the ridesharing server will forward the message or call to the rider and this is an easy way for the driver to simply store one number under the name of Uber rider instead of dialing different numbers each time. Surge price notification: During the peak hours, holidays, bad weathers and natural calamities the piece of the ride increases and might can be double the amount than the normal fare. However, the driver must keep in track of the surge pricing every ten minutes because the surge pricing can happen anytime, but with the new version the surge price notification helps the drivers to be aware of the pricing. To enable the surge price notification the driver must tap the account option and select the settings tab and enable the surge pricing option. This will notify the level of surge pricing between 1.1 and 2.0. Maximize request: The rides are assigned depending on the nearest available vehicles and so there are chances for the drivers to get lesser pings when there are many other drivers available in that area. Hence, to increase the number of requests the drivers can download the passenger app; the app will show 8 drivers close to any area they set. With the help of this feature the drivers can see if the particular area is crowded or not and scout to some better areas that are nearby. Change in ETA: Since the ride is assigned depending on the close proximity, the drive who is near the area receives the request, but if they fail to choose the ‘Accept’ button then the request is moved to the next nearest driver and the rider receives a new ETA. The online ridesharing company redesigned its app in 2012 in which the riders had the option to choose between UberX and UberXL. This time it is not going to be a normal update, but it is a radical rebuilding and redesigning of the ridesharing app from the scratch. The CEO of the online ridesharing company Travis Kalanick to the reporters regarding the new makeover was necessary because of the growing features and aspects that need a more enhanced platform. The new changes include the schedule rides, selection of ride type, cost of each ride, selection of the pickup location and other features. These features make it easy for the passengers to choose their ride efficiently. Selection of the ride: The Uber rides are classified into the two sections, the economic and luxury section. In the economic section, the UberX and UberPool options are found while the Uber black and the Uber select are grouped under the Luxury option. With the advancement in the app and the use of the machine learning feature enables the rider to select a pickup point for the driver, the passenger app suggests some of the common pinpoints for pickup. This new option helps the driver to be at ease in parking the car while waiting for the customer to come to the spot. Social network: With the help of the updated version, the riders can easily find their friends by giving a good social life. The online ride hailing company also has the idea of typing the name of the friend instead of the typing their address in the destination tab, so that in the future the riders can type their friend’s name and the driver drops them at the exact location where the rider’s friend happens to be. However, the app will seek the permission of the rider’s friend to spot their location each time when their name is typed. This option seems to be a safety feature that will attract more users to use the app. Transparency: The new updated version of the app displays the estimated time to reach the destination and the cost, when the rider types the destination on the destination tab. This system is called the transparent pricing and a similar feature ‘Arrived by’ was introduced in some of the cities and the feature is in its test phase. This feature also helps the passenger to check the arrival time if they opt for the UberX over the UberPool. The app has another feature called the ‘shortcut’ that appears at the bottom of the app and it will predict the riders where they can be headed. This option is possible by either identifying the past action or by analyzing the details of the meetings scheduled in the calendar. And if the rider heads to a coffee shop before leaving for office, the app will automatically display the location, the passengers can also enter the office and home address manually. With the integration system the app connects with the Transit and the app help the riders to schedule their ride, for example, if the passenger’s destination is a transit hub the app will provide the details of the train schedule so that it helps the passenger to coordinate and book their ride accordingly. The feeds: This is a new feature that will prompt the passenger to rate the drive after the completion of the ride. The app also suggests the riders to order food using the company’s food delivery feature. The company even has plans to include some menus and reviews from the customers from the ‘Yelp’ if they passenger is headed to dine somewhere. There are many other features still waiting in the store, however the passengers are in need of only one thing and that is, they want the app to open immediately without wasting any time. Hope the app has powerful performance speed.